Tennessee State officials said linebacker Christion Abercrombie was last listed in critical condition after an injury that caused him to collapse on the sideline of the Tigers' game against Vanderbilt. The university issued a statement Saturday night saying Abercrombie is being observed at Vanderbilt University Medical Center. Tennessee State officials said linebacker Christion Abercrombie was last listed in critical condition after an injury that caused him to collapse on the sideline of the Tigers' game against Vanderbilt . The university issued a statement Saturday night saying Christion was being observed at Vanderbilt University Medical Center. The sophomore who transferred to Tennessee State from Illinois collapsed on the sideline late in the first half of a 31-27 loss to Vanderbilt . 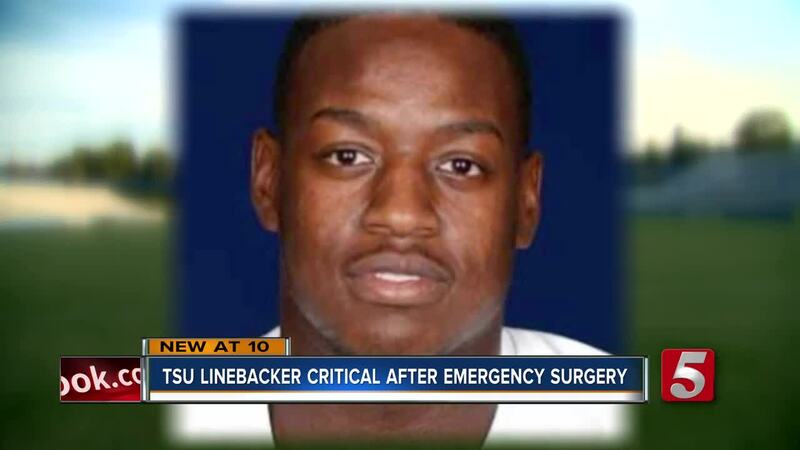 He was given oxygen and put on a stretcher before being taken to the hospital for emergency surgery for a head injury. Sunday evening, school officials confirmed he was still in critical condition and added he's "surrounded by his family, teammates, the TSU family and members of the Vanderbilt community." "Christion is resting. He's fighting," said Staci Abercrombie, Christion's mother. "We're trusting God and please continue to pray." 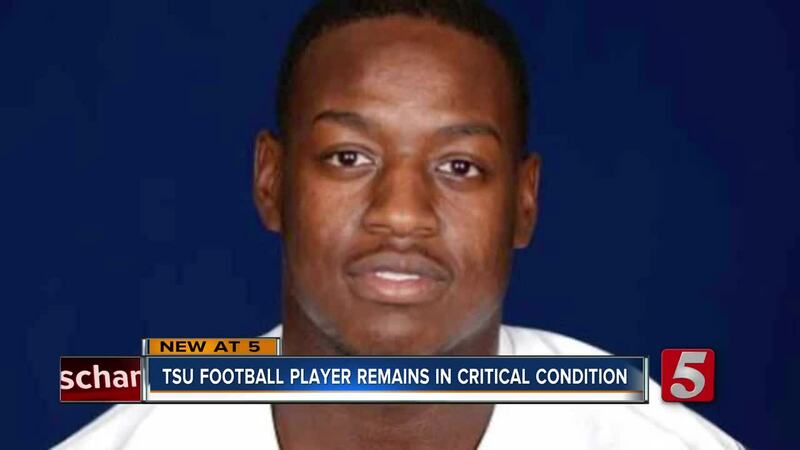 "My thoughts and prayers are with Christion and his family," said TSU Head Football Coach Rod Reed. "He's fighting, and we just need to keep him uplifted with prayers." SGA Executive Vice President William Taylor said the student body planned a prayer vigil for Christion Sunday night. "We’re praying for him and lifting his name up, and we know he’ll pull through. We’re all rooting for our fellow Tigers, so we just stand with him and we want to continue to pray for him and pray for a healthy and speedy recovery," Taylor said. A kid who plays for Tenn State got a bad head injury in the Vanderbilt game today, he is undergoing brain surgery, I’ve been praying for his healing, would love to have you join me.